Controversial necromantic Death Metallers ANTROPOMORPHIA have added a second guitar player to their ranks. Comments the band: “After an extended journey through the mazes of darkness a new fire has been lit to illuminate our ritual masses. We are proud to announce that we’ve welcomed a new member to our nekromantian horde : J. 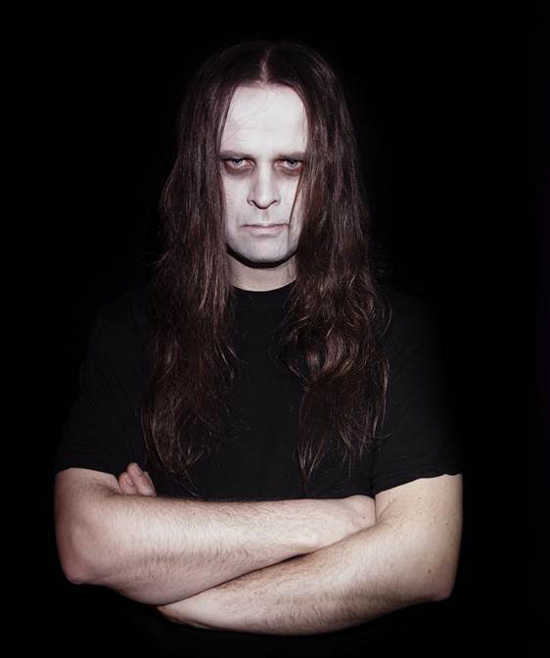 (full name Jos van den Brand) is an experienced guitar player who we know for many years and played in several prestigious Dutch (death) metal acts since the early ’90′s. With J in our presence the preparations have begun to open the portals and to set ablaze every stage that comes on our path/journey. In other news ANTROPOMORPHIA have reacted to a letter their label Metal Blade Records received from the German BPJM (“Federal Department for Media Harmful to Young Persons”) that included an indexing request for the band’s latest album Evangelivm Nekromantia. The letter claims the cover artwork of the album as well as the song Fleisch illustrate and address killings and violence in an autotelic way. Furthermore they don’t seem to be too happy about the album title. A newspiece in German can be found HERE, a newspiece in Dutch HERE! ANTROPOMORPHIA have just finished another video shooting, this time around for the song Debauchery In Putrefaction.